We checked in at our hotel and had a good sleep after all the driving we did over the past two days. In the morning, after breakfast we drove to the Governor's office. We spoke about photography and how we could work together to promote Al Buraymi not only as a stopover destination in Oman, but one where tourists can truly explore. Al Busaidi gave us some information about some areas of interests for tourists. Later, we visited two markets and a fort. 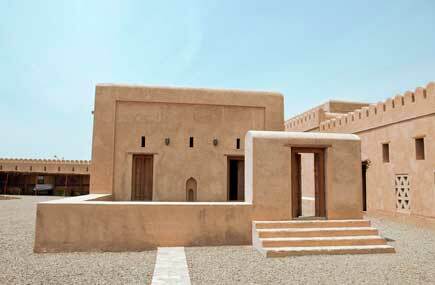 Oman has more than 500 forts, most of them with unique architecture. We had lunch at our hotel (Al Salam) and later met the general manager, Jamal Al Safar who was curious and very interested in the branding of our two vehicles. He asked us about our trip and then made himself available for the entire afternoon so he could show us some places that tourists do not know about. 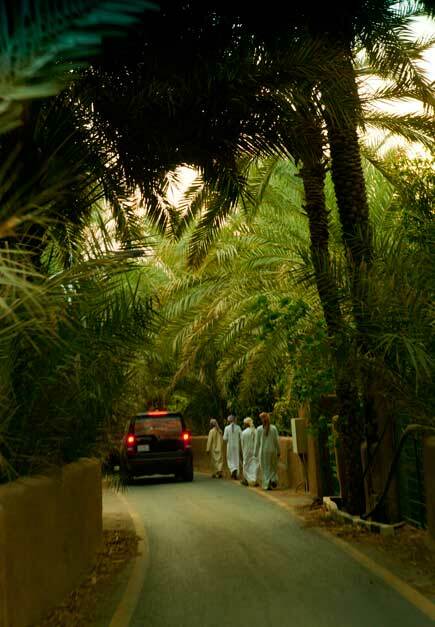 We followed him to an area called Al Khadra meaning "the green in Mahdah". It is a beautiful place for tourists to explore and great for a walking tour. He asked us if we would like to see the 5-star hotel they are building which will open on 12/12/12 and he gave us an invitation for the opening. We then returned to the hotel and we met Yaqoob Bin Karam, chairman of Bin Karam Modern Investment Group, who made us feel very welcome. He was fascinated with idea of the promotion trip for his country and assured us of his complete support for any future trip to promote Oman. On every tour, we have always come across interesting people, people who love their job like Al Safar and people who are committed to giving something back to their country like Bin Karam.